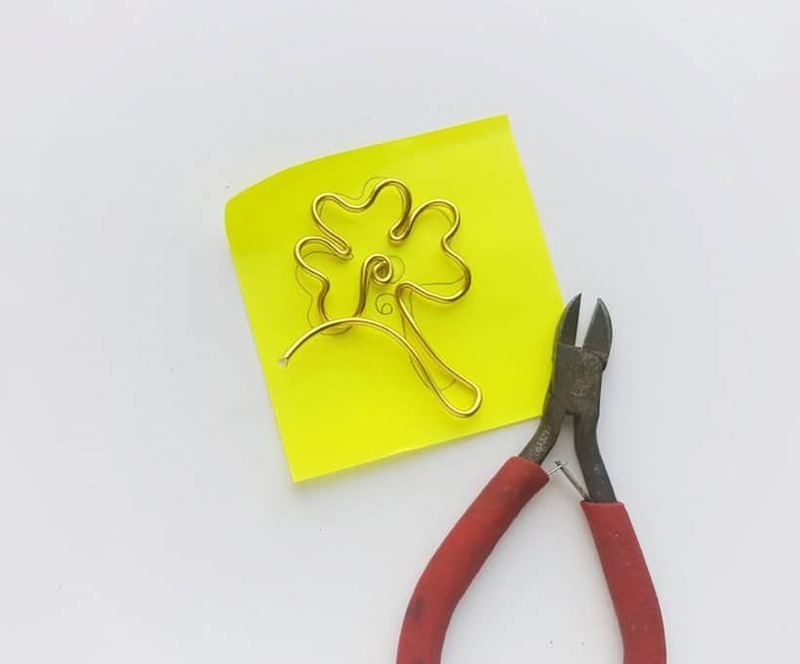 This easy and cute Wire Shamrock Bookmark is a great craft for St. Patrick’s Day, or any day! 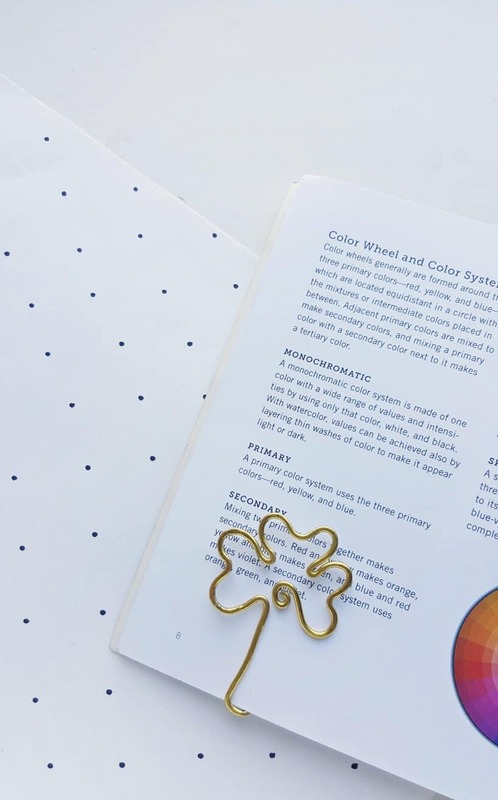 Clovers are perfect for St. Patrick’s Day, but they are also very trendy right now with tweens and teens. 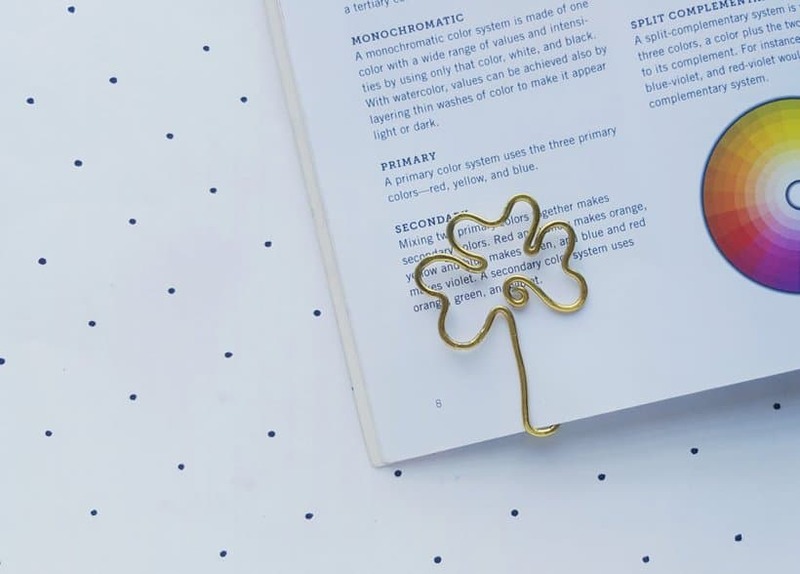 This clover bookmark would be a great craft for older children’s parties or gatherings. 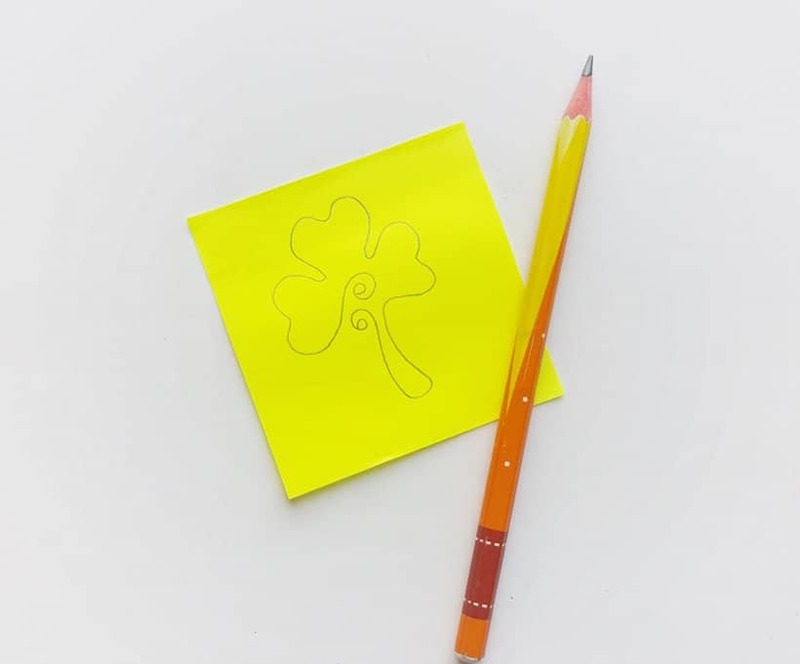 Print the template which has several different size options for the shamrock bookmark. Trace the size you’d like to use for your clover. 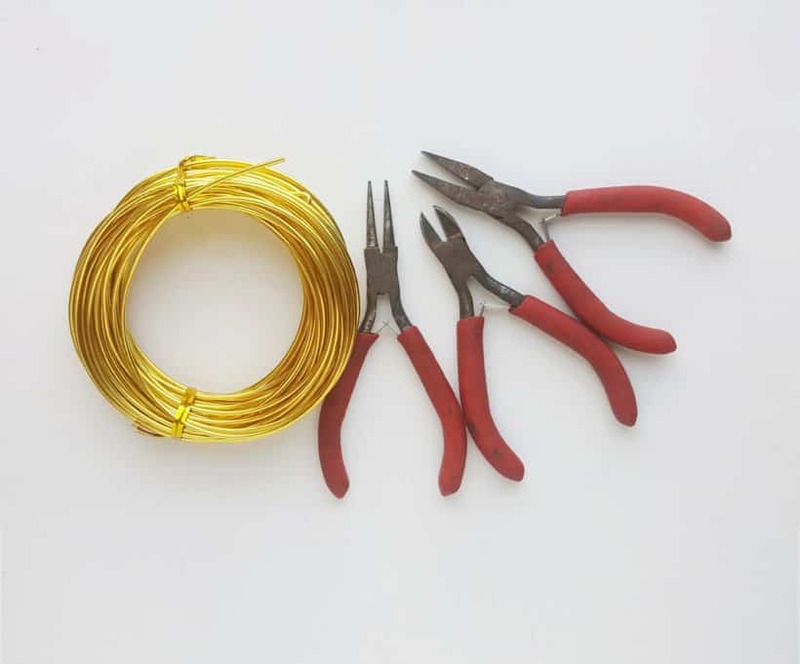 Take the 16 gauge wire bundle and create a small loop at the open end of the wire, with the help of the looping pliers. Do not cut the wire from the bundle. 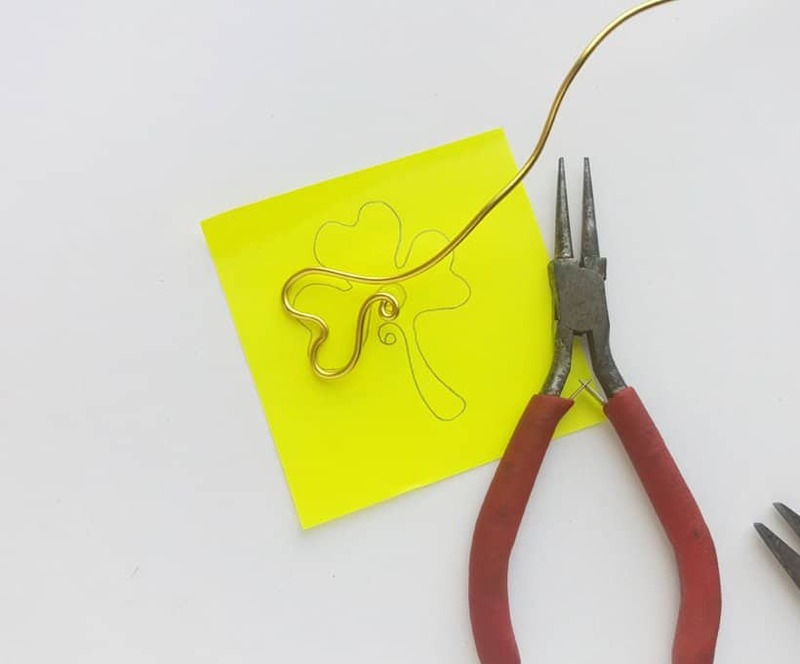 Hold the loop on the center loop of the shamrock template and bend the wire along the template using your looping pliers to create the loops and curves on the wire. 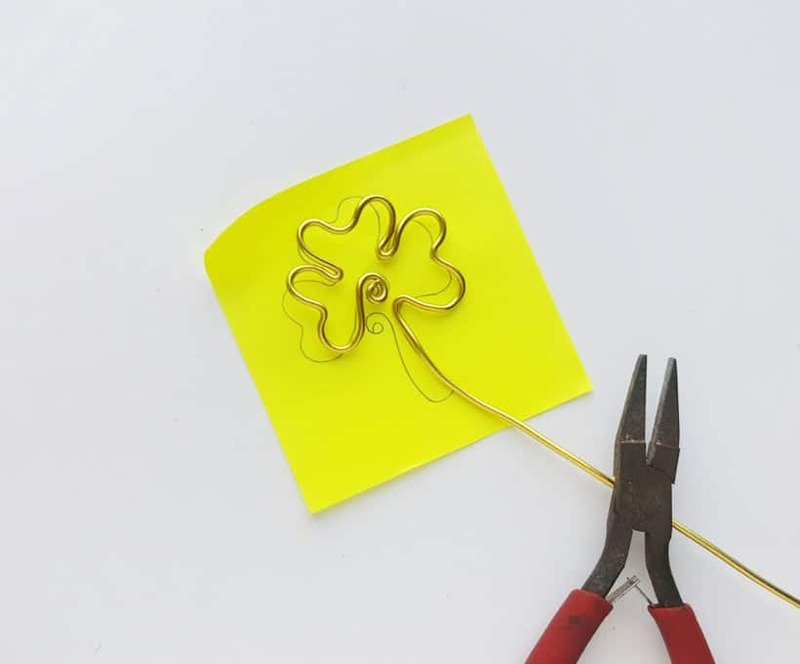 Simply continue tracing along the shamrock template pattern. 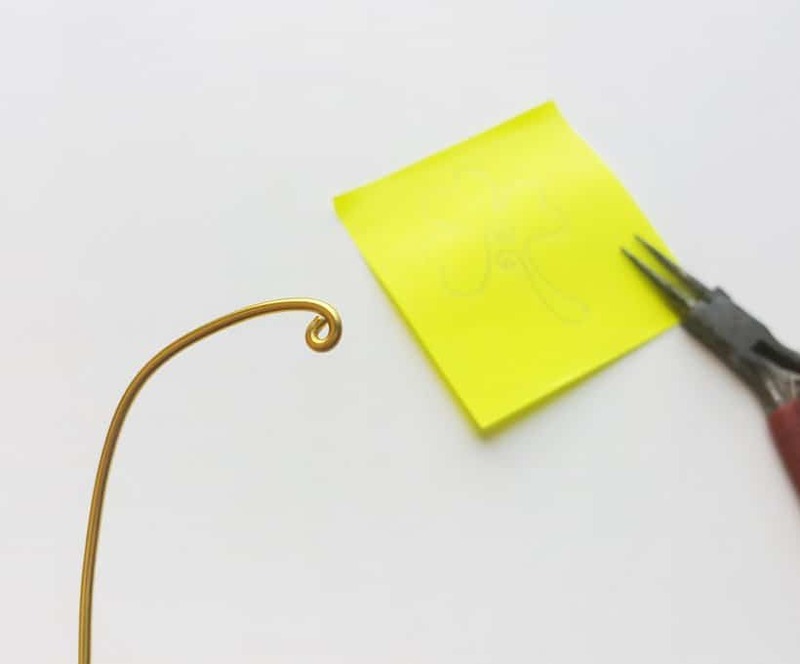 So far, you’ve simply using the looping pliers to bend and turn the wire along the template. Done tracing the leaves? 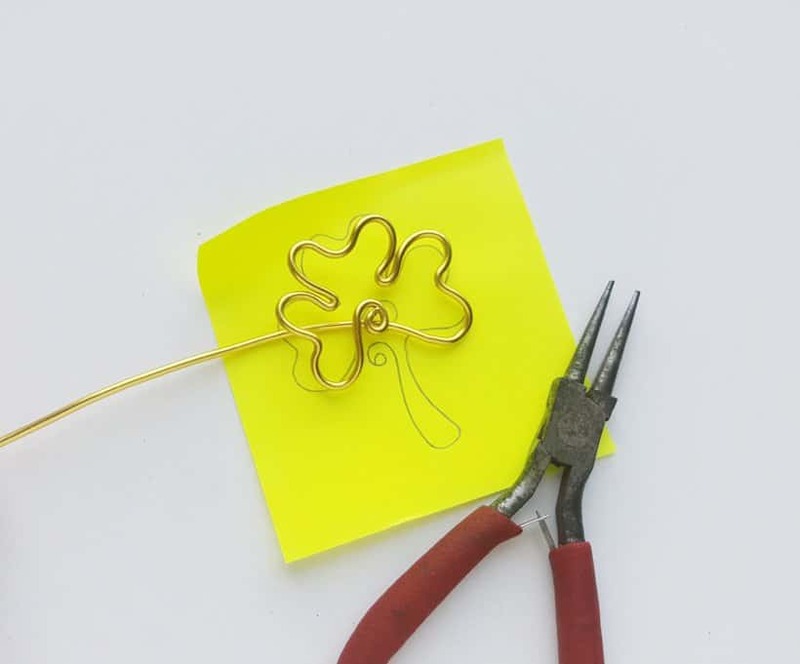 Now use a pair of flat nose pliers to bend the wire along the stem part of the shamrock. 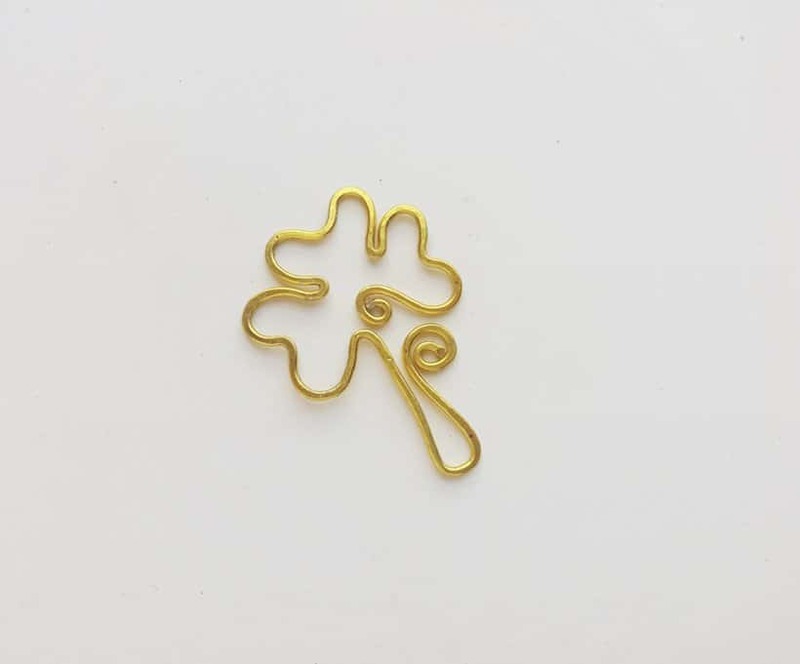 You can also use those flat nose wires to tighten the bend between each shamrock leaf. Bend the wire along the stem of the shamrock. 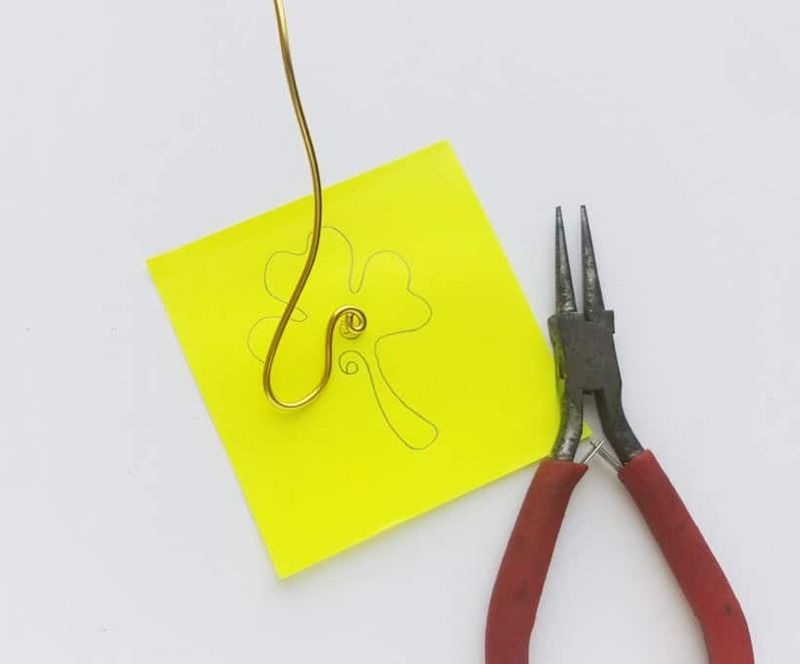 Now cut the shamrock’s wire off of the bundle, but be sure to keep enough wire at the tail end to create a small twirl to finish the shamrock. 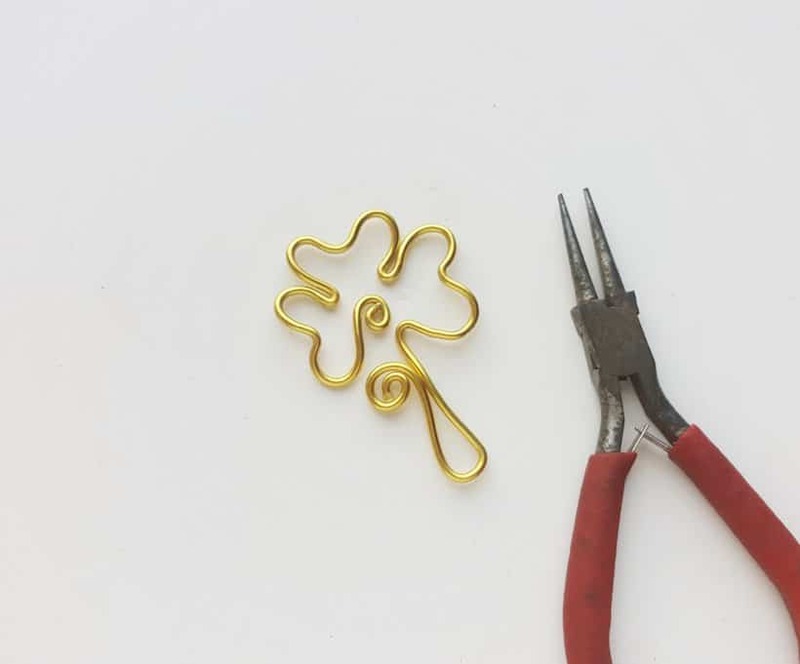 You can hammer the wire shamrock against a hard, plain surface to give flatten and straighten it. 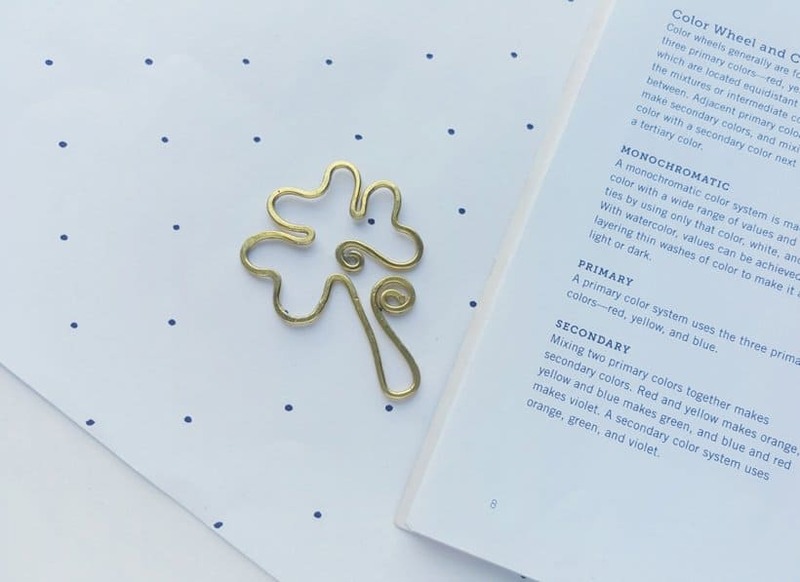 Now, grab your favorite book and place your Shamrock Bookmark in it to hold your spot. All done! Super cute, isn’t it?